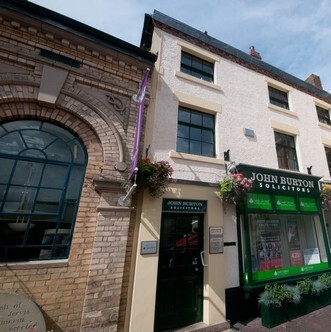 John Burton Solicitors has been providing professional legal services for the community of Stone for more than 30 years. Intending to make a will. In need of legal advice as you approach old-age. John Burton Solicitors has professional legal experts to guide you through the process. Buying and selling a property is probably the largest transaction that most people undertake in their lives. It can also be one of the most stressful. Whether you’re a first time buyer or moving up the housing ladder, John Burton Solicitors has decades of professional experience to guide you through the process with confidence and ease. You spend your life working to build up savings and assets for your loved ones, so it makes sense to ensure that when you die your estate is shared just as you would want. John Burton has spent decades helping clients to make wills. John will deal with your wishes with care and in the strictest confidence. When a loved one dies there are special legal procedures that you need to go through to wind up the estate. John Burton Solicitors understand this can be a difficult and confusing time, which is why we support you every step of the way in the administration of an estate. We never know what lies around the corner in life and as we get older our health can be affected in a way which means making decisions can become difficult. Lasting Powers of Attorney enable you to choose someone trustworthy to make decisions on your behalf should you become physically or mentally incapable. Our experts help you make the right decisions and support you through the legal process. John Burton Solicitors offers a range of professional and trustworthy legal advice, tailored to the exact needs of the elderly and their families. We understand that a listening ear and sound practical advice are paramount in advancing years. We also understand it is not always possible to visit the office, so at John Burton Solicitors we may be able to arrange to visit you. Setting up in business is an exciting time when you’re keen to start trading, make money and head on the path to success. It is also a time for taking sound advice to ensure you begin on a secure legal footing. Whether you are buying or selling a business the advice of John Burton Solicitors experienced legal professionals is essential.